1. There is no way to force nearest neighbor scaling for all objects. One example is how if you make a sprite and cut a part of it (Rectangular Marquee Tool + Cut), upon pasting it you'll find that if you move it, it's automatically antialiased. It also happens in Affinity Photo if you merge two layers, or rasterize an image like this. 2. There is no way to scale an object and have it then export properly. More about this on this thread. 3. There is no way to quickly scale the pixel brush in integer numbers. This means using the shortcut from the keyboard will make it jump 1px > 1.1px > 1.3px > 1.7px ... etc, instead of 1px > 2px > 3px. What this means for pixel art is that you'll get a non-pixel perfect object. Affinity is a great program, and it's really close to being an excellent pixel too, so it's really frustrating for some of us to see it lack just these ones semi-implemented features. I know there is a huge amount of people here, all touting different things as their "if only the added THIS feature" - so all I can do is aggregate these three problems in one thread (you'll see a lot of people have mentioned these issues all over the forum if you search for "pixel art" on the bar), and hope some day they're addressed in a way that doesn't call for cumbersome workarounds. It just can't compete with a dedicated pixel pusher app like Pro Motion NG. Nor do I think it ever will, because the target audience is very, very different. I do my pixel art in Pro Motion NG. I do image editing in AP. Short answer, YES, you can do pixel art in A. Photo. I wouldn't do it in A. Designer, tho. (seems OP is talking about using Affinity Designer, although all the time he just says "Affinity") . A. Designer is a vectors based software, wonderfully capable in its area. It has a pixel persona which is sth very rare to find in vector packages. I would use the more evolved raster package for raster stuff, that is, A. Photo. Photoshop supports indexed palette, since always. Yet tho, I often worked in RGB mode while doing my pixel art (and btw, you can always use external tools to convert to indexed, if needed!). Maybe you refer to doing old school pixel art, mimicking the pixel art with the hardware limits (you do not have to MIMIC the difficulties. Don't let people wash your mind with it... the "real pixel artists only use MS Paint" statement is plainly stupid. For starters, original pixel artists used that thing in the day, lol... . And a lot of them, yet active, do not use that.) that we had back in the 80s-90s, but even said at conferences by one artist of the times, worked in the Indiana Jones titles and many others, you don't need to, and still will be proper, totally legit pixel art. And is great that it survived as a genre, as allows fast and cheap production of great indy titles. You should not be more "purist" than the actual people that generated that style ! Lol. You still can work with a fixed palette by setting your palette somewhere on canvas (I do this even illustrating in high end, as it helps me. Heck, is what I do when I paint with oils...), and picking from there. Photoshop has been for ever (more than it should have) put down for pixel art as many tools end up in aliased results (in bad hands!!) ... This happens when you don't know "the way" in each software to work with these matters. There are many ways to achieve what you want, you don't have to have that exact workflow that you mentioned. I have worked producing titles, often each one entirely in my own (not the code), for 2D games in pure pixel art style, for a Nokia's third party, back in the day. It was pretty fine with them and the audience. And nope, was not produced with Cosmigo's ProMotion, neither with deluxe paint, nor aseprite, gale, neither the so many others . Well, I used Gale and tile studio from time to time, but for no particularly important reason. I often did the anims with Animation shop (from an arcane version of Paintshop Pro). And with many other toons, but lots of the time, I got used with the timings in my mind, and just some anim previewers were enough, to be checked often. You can totally do pixel art with A. Photo. Is it the very best tool for that? Yes and no, depends on the project. For some projects, even in pixel art, a high end package has its advantages. For others, you are better off with a very specific pixel art/sprites package like Promotion (definitely not my cup of tea, tho, to each his/her own. Is what Gameloft typically request to be proficient with, sadly ), Gale (free and/or very cheap) , or Aseprite, good and really cheap. I like quite tilestudio (free) as well. And Krita (free) is having some very nice stuff for pixel art, like certain guides, and the wrap around function with even a toggling key. Amazing for creating seamless tiles ,or textures in higher end. And more features directly thought for pixel art. IMO, AP is rather amazing as a general image editor for tons of purposes, Just like Photoshop. That has to be considered its main focus, from my POV. That you can do very different sets of tasks...? YEP! you can . You may have to adapt workflows, but you certainly can, like you have to in PS. All what I cry about painting, and still, I know that with some tricks I'd be able to do just the same than what I currently do with CSP, Krita or Sketchbook. There is no such thing as "can't do this" , as an impossible thing, in complex packages like these, or very , very few things. I mean, is not that it would be impossible to work in all those areas. Might be slower, might need tricks. But is versatile enough to allow it. That said, your workflow might be quite faster/comfortable tho if doing pixel art with Aseprite, gale, promotion, tilestudio, tilesets/maps with Pyxel Edit . You have even stuff , very old school (like Aseprite, or more) like Grafx2 , or in that style, online free tools like Piskel, my favorite (simple, and effective as heck, no install, in any computer...for working with heavy images... I don't like the online concept... for pixel art...is fine. Not my preference, tho) in the online tools group (good for tiles and sprites). All these tools are very good, you don't go wrong with any. Tho depends on what you need to do. I for one wouldn't use those other than for specific matters. I'm more fan of using high end tools and adapting those, configuring them for pixel art, having my know-hows to deal with them for producing pixel art. Am not alone, a lot of even famous pixel artists think like me (I ain't famous, hehe). And then use A. Photo for anything else in image editing, A. Designer for all your vectors based work, Notepad ++, Atom, or whatever you like for typing code, MS or Libre Office for spreadsheets and documents, etc....you get the idea. I used PS and any high end package for pixel art as it showed its advantages in the long run, and been years doing pixel art 10-12 hours a day.... But each person is a different case, our brains, habits, etc, are different. it's automatically antialiased. It also happens in Affinity Photo if you merge two layers, or rasterize an image like this. Anyway, with that example... what do you mean with rasterizing? 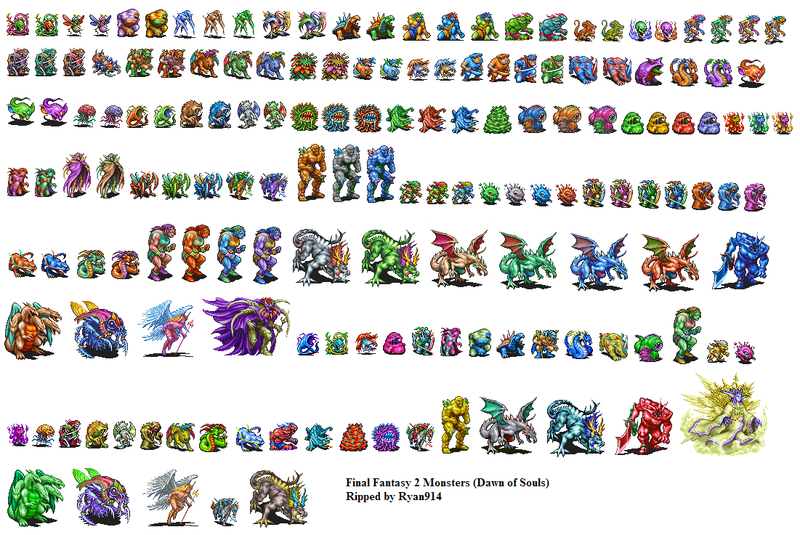 Are you working in vectors for doing pixel art? rasterizing is a "term" used in our world to refer to convert a vector image to raster image. IE, a SVG to a PNG. Why are you doing pixel art in vectors ? Of course, with good care put on it, can be done. I've done so while produicing large scale pixel art for event posters, t-shirts, even plastic surfaces. but if you are just pretending to do pixel art here for some PC desktop/web game, you are making your life harder than it should. I'd use directly a raster editor. Be it A. Photo, Photoshop, krita (as all the others, can be configured and used in a way that perfectly allows pixel art) or one of the big list mentioned above from me and the other poster. I can think of the advantages if you are working for mobile, and need the pixel art to be in svg for some reason, then rasterize for other platforms or versions, tho... There are ways to deal with that kind of issue, tho. I tend to use each tool for what is best for. I use painters for digital painting,(even I have one specific for my inking, my line-art) image editors for what they are best, pixel pushers for what they are designed to do... etc. Import/ export, even if messy in some cases, -there are tons of workarounds, and I generate new ones constantly!- with the I/O thing, but it pays in the long run to diversify.